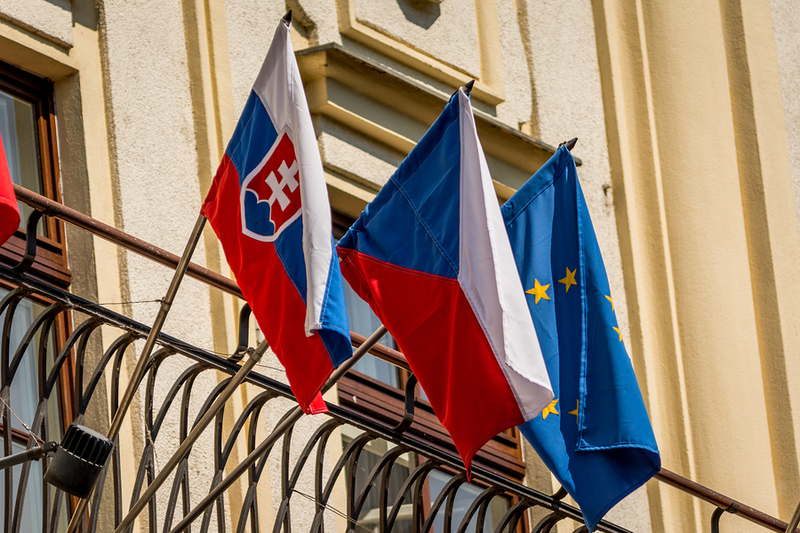 Czech and Slovak – Worlds Apart? Living and working now in an international environment where meeting another Slovakian or Czech is as rare as hens’ teeth, I often get asked how close Czech and Slovak language is. At first it seems quite straightforward – Czechs speak the Czech language and Slovaks speak the Slovak language, right? However, when you take into consideration the fact that there was a country called Czechoslovakia not that long ago, it gets a little bit trickier. So how similar is Czech and Slovak? For Slovaks, thanks to their exposure of Czech films and media, we can basically understand 99 % of it. I would even go as far as saying 100 % for the older generation. In Slovakia, we were always exposed to the Czech language as a child, even after our countries separated. This is mainly due to the fact that Czech media rarely airs Slovak and Slovak-dubbed shows/movies, while Slovak media air Czech and Czech-dubbed shows all the time. So, for most of us it is actually like a second native language in terms of understanding without ever needing to study it. That is also one of the reasons why a lot of Slovakians are able to study and work in the Czech Republic. Maybe 30 % of vocabulary is exactly the same; however, there are some words which are completely unrelated that can sometime cause a confusion. For Czechs, the Slovak language is usually a little bit more difficult, depending also on the area of origin and age. Czechs over 30 have rarely any problems as they were born in the former Czechoslovakia. When it comes to speaking though, almost no Slovakians or Czechs can actually speak the opposing language unless they’ve been living in the other country for a long time. The accent in both languages is also pretty difficult to master so you can always tell who is from Slovakia and who is from Czech Republic. The word AHOJ/AHOY means hello in the international language of sea and also in Czech and Slovak! P.S. As much as Slovakia sounds like Slovenia. We are nothing alike and our languages are very different but that is for another blog!